NBC-Universal is holding an open call for films to be entered into the NBC-Universal film fest. The contest is held annually and showcases films from aspiring filmmakers nationwide. The film festival accepts submissions in the spring through April and showcases selected films through a New York City screening in the summer and a Los Angeles finalist’s screening in the fall. finalists will get a free trip to New York City and Los Angeles for the screening events. The 2018 submission window opened just a weeks ago and aspiring film makers have until the end of April of this year to get their short films entered into the filmmaker contest. The contest is seeking recent works that have been completed / created withing the last 2 years and will award prizes for best actor, best writer and best director categories. The NBCUniversal Film Fest is now accepting submissions from Film Makers nationwide. The project is looking for short films that fall into either the comedy or drama categories. Comedy pilots and web series are accepted, however, documentary projects, animations or music videos will not be considered are are not eligible for this particular film contest. NBCUniversal is specifically looking for diverse stories and themes. According to NBCUniversal, the writer, director, cast, or theme of the short must be diverse, either: ethnically, culturally, or of a diverse voice or community. Examples of diverse and inclusive backgrounds, including female writers & directors, the LGBTQ community, and artists who are differently-abled. 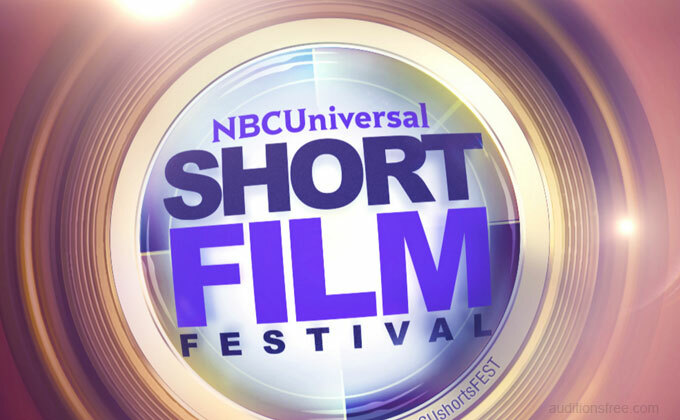 According to NBC-Universal, The annual NBCUniversal SHORT FILM FESTIVAL is the industry’s premiere diversity short film festival; a nationwide search for talent both in front of & behind the camera, focused on discovering the next generation of storytellers. This bi-coastal festival hosts a series of events, including acclaimed filmmaker workshops, semi-finalist screenings in NYC and a red carpet awards finale at the DGA Theater in Los Angeles. For over a decade, we have celebrated up & coming directors, writers, producers and actors, introducing them to top industry tastemakers while awarding prizes ranging from camera packages and monetary grants to development meetings and holding deals. #StorytellersWanted. The festival semi-finals and screenings will be held in the New York City area this coming summer during the month of August. NBCUniversal will be picking the semi-finalists from the initial submissions and will pay for travel expenses for the film’s director or writer. While the entire film making team will be invited to the NYC event, only one person (writer or director) will have their travel expenses covered.Semi-finalists will be announced over the summer. Finalists will be chosen in the fall and a screening will take place in Los Angeles during October. Submitting your short film project is free and all films must be in by the April 30th 2018 deadline in order to be considered. In October, the finalist screening will be held in Los Angeles and again, travel will be paid for the writer or director. Please see this page for the full rules and information on how to submit your short film to the festival.